This project outlines the vision for Cardiff and the Vale of Glamorgan to develop an all–age integrated service for people with ASD. Assessment of adults without a learning disability or with a mild learning disability who do not have a known moderate to severe mental health difficulty. Liaison, support and consultation in relation to the diagnostic assessment and support of adults with a known moderate to severe mental health difficulty, or moderate to severe learning difficulty. Support for adults with autism without a learning disability or with a mild learning disability without a known moderate to severe mental health difficulty. Support for parents of children with autism without a learning disability, or with a mild learning disability, without a known moderate to severe mental health difficulty. Support for parents, families, partners and carers of individuals with ASD. The service will have range of additional health and social care staff recruited to support the delivery of the IAS, and will include the existing Adult Autism Advice Service. It will work closely with education and third sector providers to ensure a cohesive approach, and will be delivered from a base in Penarth. There will be strong links with the Neurodevelopment Services for children and young people. The service will be based on a national model to ensure people across Wales with autism receive a consistent approach to diagnosis and support where required. 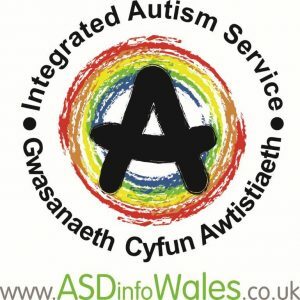 More information can be found at ASDinfoWales by clicking here.